At last, we have clear, high-resolution, official photographs of Chris Evans as Captain America from the forthcoming Captain America: The First Avenger. 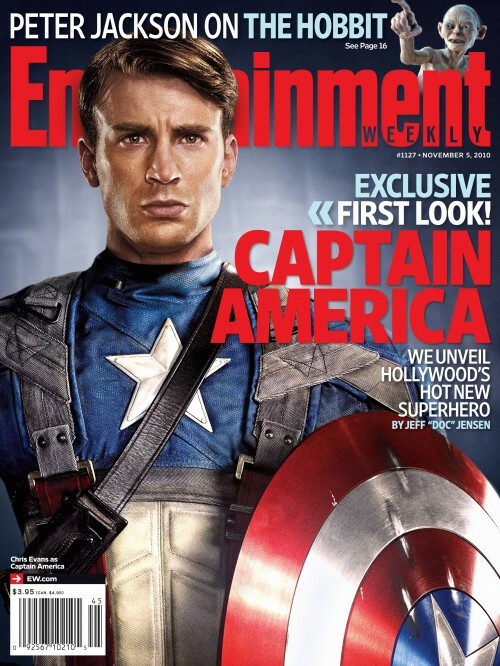 The Marvel movie is slated for release on July 22, 2011, and thanks to this photo spread in Entertainment Weekly, I have to say that I absolutely love the costume! 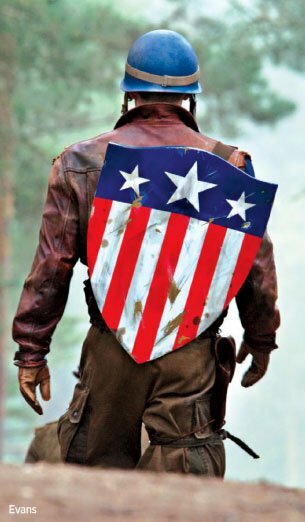 I am especially glad that director Joe Johnston has not decided to forgo Cap’s original, classic-shaped shield. (No, that is not a revision for the movie; it’s canon.) The Stark-created round shield will get its time in the sun. Although I do have one complaint: Why does the indestructible shield appear to have been scratched by bullets in the photo on the cover of Entertainment Weekly ? Note to Johnston: Captain America’s shield cannot be scratched by bullets! No, the “Cloverdale” episode of STARGATE UNIVERSE was not a tribute to the monster movie of the same name, but rather a reference to Scott’s idyllic home town, which he visits in a vivid alternate-reality dream spurred by alien parasites. I usually don’t go in for the nirvana/heart’s desire dream stories because I’ve seen it so many times, and the tale always ends the same way: the person in the idyllic alternate reality picks up on little errors, senses something is wrong and figures out it’s a dream. I usually find it very frustrating waiting for the character to put the clues together.